Synopsis, Our Opinion: A good value everyday Pays d’Oc Chardonnay. Producer/Winery: Devois de Perret; Les Vignerons du Pic (a cooperative north of Montpellier); Assas, France. 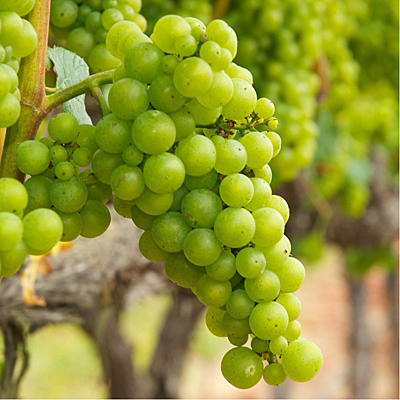 Geographic Appellation,, Region, Country: Languedoc-Roussillon, France. Paired With: Grilled salmon with orange-curry sauce, baked potato and peas. Chilled before opening. Clear, oat straw color. Light citrus aroma with hints of ripe apple and pineapple. Tart acidic mouthfeel, medium body and 150-grit texture. Powerful tart lime and lemon flavors with a slowly emerging apple and mineral taste. Zippy acidity and a long bitter finish that had lots of lemon zest. Excellent paired with the salmon and “not bad” sipping without food after the dinner. Light bouquet, light on flavor, strong on tartness; but a bright and lively Chardonnay without a speck of oak. 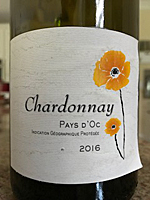 A good value everyday Pays d’Oc Chardonnay. Comments: See also: Our review of Perret Languedoc Rouge 2016 that’s also from the Les Vignerons du Pic cooperative. Imported by: Bonhomie Wines Imports; South Orange, New Jersey.